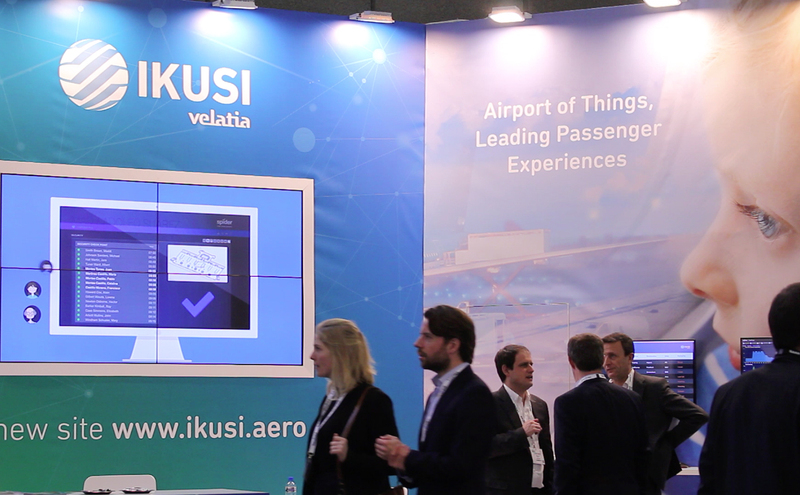 From March 14 to 16, Ikusi presented its specialized technological solutions for the airport sector at the Amsterdam Passenger Terminal Expo. Clients from Latin America, Europe and the Middle East visited the Ikusi stand to get acquainted with the new proposals combining the operational efficiency that operators require with improved passenger experience. “Since our previous attendance at Passenger Terminal”, Ikusi Airports director Albert Algans pointed out, “we have continued innovating in specialized technological solutions, which we design to the standards and best international practices recommended by bodies such as IATA and ACI, among others. A proposal that enables our clients to advance in passenger journey and airport operation digitization, which is being backed by the award of projects that we are implementing in different countries around the world”. Ikusi has placed the Spider solution to improve and optimize processes at the disposal of the airport market. Spider enables the interrelation of data available to the airport and promotes in-depth analysis of this information to develop predictive and prescriptive scenarios that redound to better and more efficient infrastructure operation. The Santiago de Chile International Airport is one of those that have relied on this solution, contracting two projects with Ikusi. Using Spider, on the one hand, Ikusi created the technological structure to respond to the concession management model operative in this and in increasingly more airports throughout the world. This entailed the need to develop a framework for the relations between the public owner and the private consortium, logically bound to fulfill certain quality parameters based on international standards set by agencies such as ACI, ICAO, IATA, etc. Likewise, the Santiago de Chile airport entrusted Ikusi to deploy an automated operations management system covering Spider Information Broker (IB) and an AODB/RMS system and integrating 15 airport and air navigation systems. On the other hand, the Dolphin airport information solution, which represents one of Ikusi’s most solid proposals for the sector, has earned new references over the last few months and will soon be operative at the new Istanbul Airport (IGA) and in 6 OMA airports in Mexico (North-Central Airport Group). Mexico City International Airport, on its side, is repeating its experience with Ikusi. This time around, Ikusi takes charge of planning, coordination and monitoring airport slots (time frames for takeoff and landing) with its Condor by Slotix solution, which optimizes slot allocation along the global standards of the International Air Transport Association (IATA). Condor has already been implemented successfully at the Rio de Janeiro international airport of Brazil and is deployed in leading French airports such as Paris-Charles de Gaulle and Orly. The Passenger Terminal Expo was the setting chosen by Ikusi Airports to launch its new Microsite, www.ikusi.aero: a digital platform charged with becoming a dynamic showcase for the Ikusi airport sector proposal. The microsite design favors simple and intuitive browsing that guides the visitor through the most recent emblematic solutions, services and projects of Ikusi Airports. The microsite is also committed to updates, and hence includes a blog where the latest business news and sector tendencies may be read in the form of articles and interviews.